The transition from rent to home ownership has many obstacles for millennials. We’ve put together this guide to help young people make home ownership work for them. Buying your first home is one of the biggest financial decisions you’ll ever make. 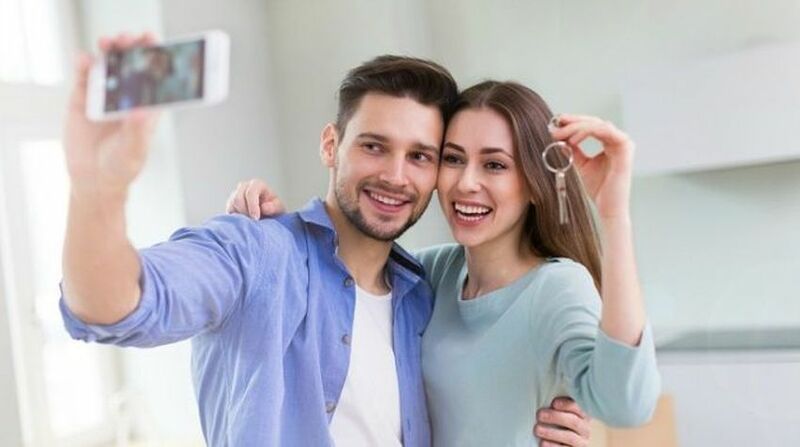 For millennials struggling with lower income and savings, the dream of home ownership can appear out of reach in today’s market. All hope is not lost. Low mortgage rates and a gradually improving job market are empowering millennials to invest in property rather than rent. By taking a few practical steps, you can be well on your way to buying your first home. Investing in your first home requires careful planning, effective judgement and setting reasonable expectations. Below is a six-step process for making that happen. If you’re a millennial first-time buyer, the selection of homes you can afford is likely much smaller than established buyers. After all, you don’t have any equity yet, and will be relying purely on savings to invest in your first down payment. An important part of setting reasonable expectations is shopping within your means. Even if you qualify for a large mortgage, there’s no rule that says you must use it all. As a first-time home-buyer, your goal should be to finally start building equity. If you want a property but can’t afford it, you shouldn’t buy it. It’s as simple as that! Make sure you have enough for a sizable down payment. In Canada, most professionals will advise you to make at least a 20% down payment on your property to avoid paying homeowner insurance. While this is recommended, it might not always be possible, especially if you don’t want to delay your first real estate investment. Even if you can’t pay at least 20%, you should still be prepared to make a decent down payment to minimize the total loan amount. In Canada, 5% is the absolute minimum you must put down. Home ownership carries significant expenses that extend beyond your down payment and monthly mortgage payment. Property tax, insurance, closing costs and utilities must all be factored into your decision both at the time of closing and after you’ve moved in. When deciding to enter the market, be sure you have enough money to cover the down payment and all the ancillary costs associated with closing your home. You’ll also want to budget carefully to make sure you can afford to pay your mortgage and living expenses after you’ve moved in. Most home-buyers are limited by geography in shopping around for property. For millennials living in the big city, this can make affordability a greater challenge. That’s why it’s essential to compare neighbourhoods and property types. It’s equally important to consider location and whether you are willing to commute to work each day. Proximity to your job may be convenient, but will likely be more expensive, especially if you live in a big city. Working with a real estate agent can help you develop a better view of property values based on location and property type. Financing a home can be a complicated process. That’s why more and more Canadians are turning to mortgage brokers to steer them in the right direction. It used to be the case that most people went straight to their bank to finance their mortgage. Now, many people visit a mortgage broker first. That’s because a broker is tasked with one job: finding you the best deal possible. They work with the big banks as well as non-traditional lenders to match you with the best interest rate and lending terms on the market. The government has made it a little easier for first-time home-buyers to enter the market. If you’re a first-time buyer, you can use your RRSP account to finance your down payment tax-free up to a maximum of $25,000. This means you can take up to $20,000 from your RRSP account and put it toward a down payment with no tax penalty. The First-Time Home-buyer Credit can also help you reduce the amount of taxes you owe. Various provinces, such as Ontario, also have a land transfer tax refund that will greatly reduce the amount of land transfer tax you owe. As a millennial, shopping around for your first home can be both rewarding and challenging. This six-step process will help you make the most out of your experience.